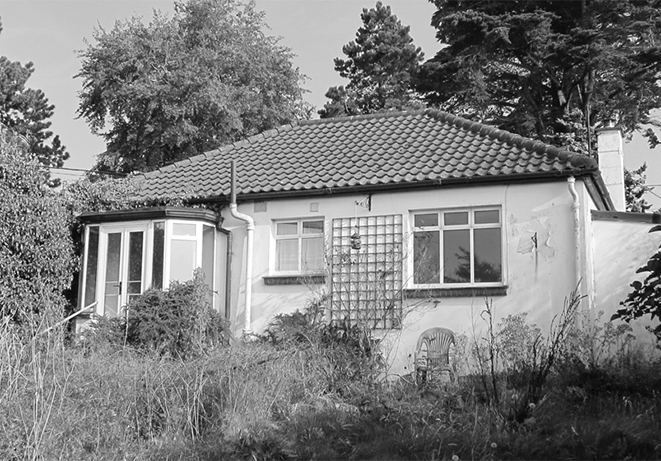 The site is located on a cul de sac of seven bungalows c.1940. 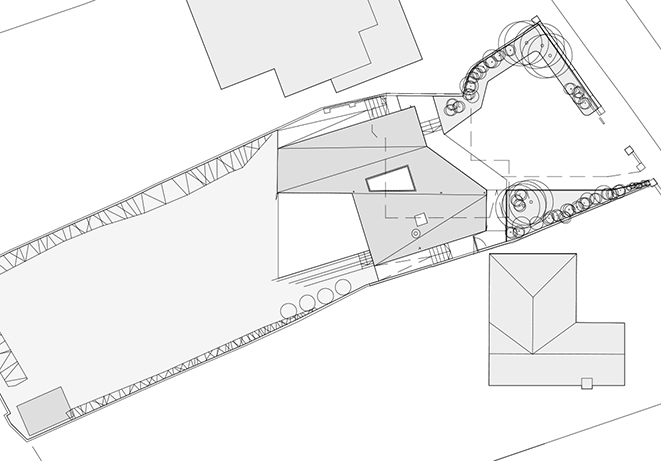 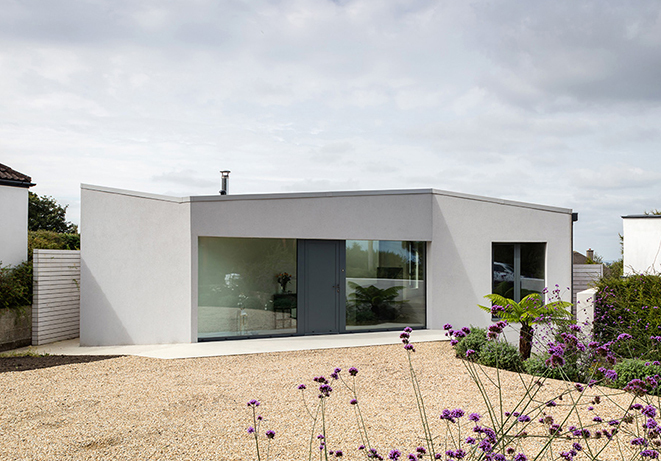 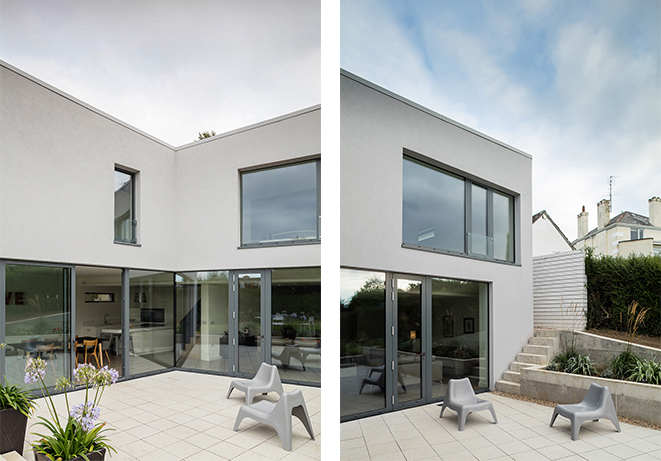 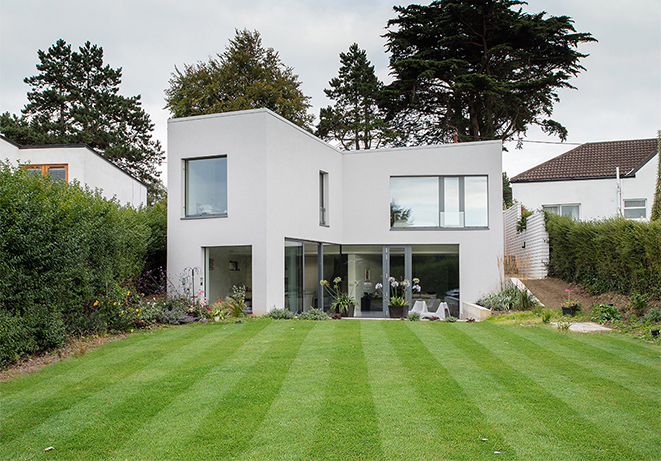 The two adjoining properties, built on different building lines, led two the usual geometry of the house.The upper level accommodates a light filled entrance hall and stairwell. 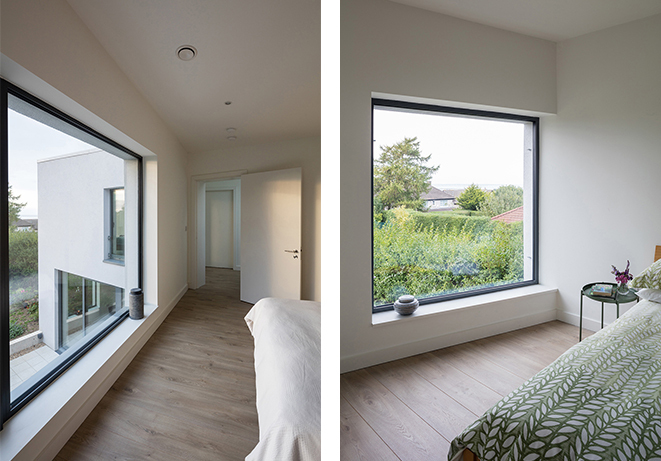 The master bedroom, walk in closet and ensuite are to one side and two additional bedrooms and a utility room on the other. 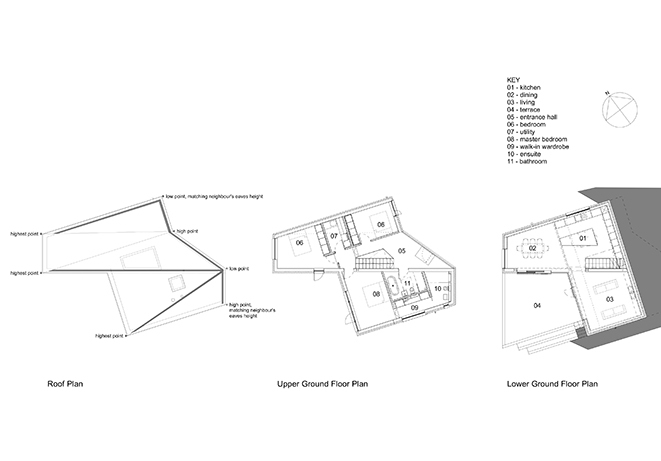 The lower level accommodates an open plan kitchen/ dining and living room which open up to the the sunken south facing patio. 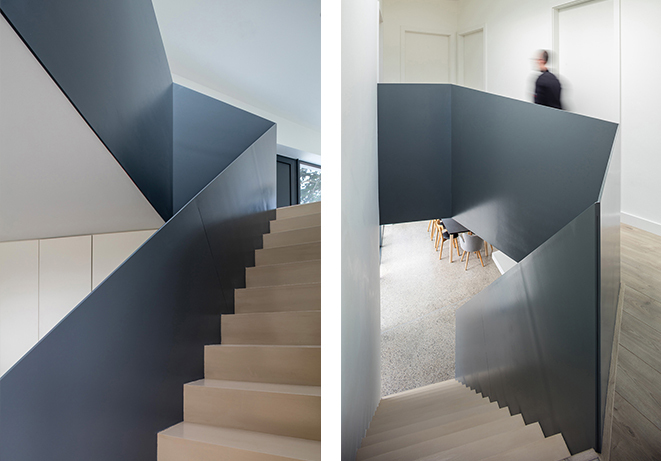 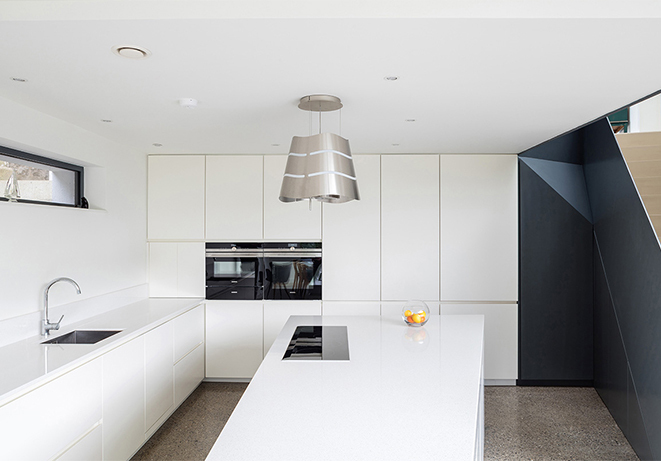 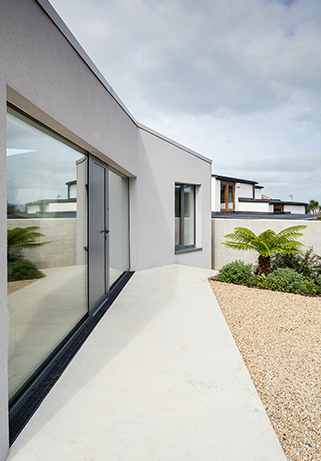 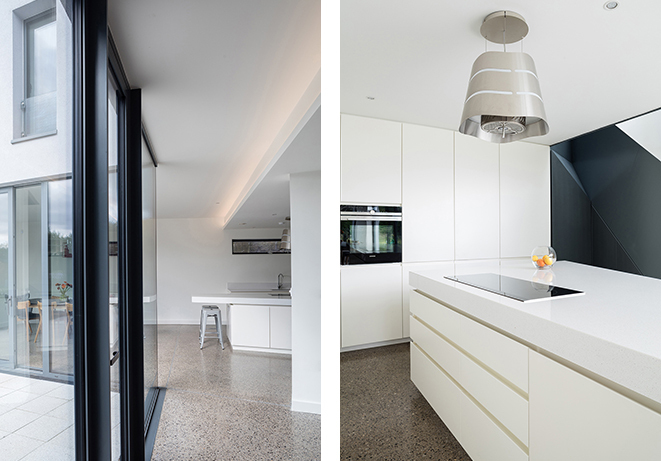 The palette of materials was kept to a minimum with polished concrete and timber floors, aluminum windows and doors, painted steel folded stair and sprayed and lacquered joinery.